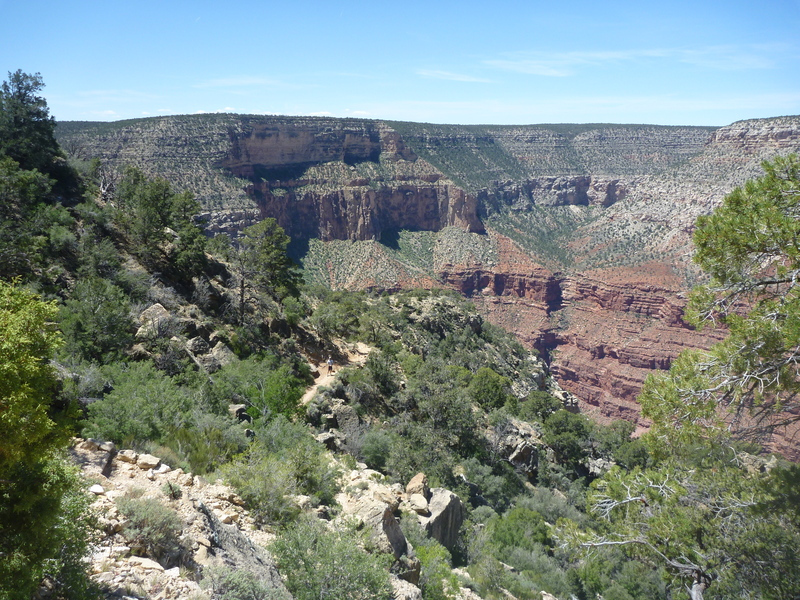 Many years ago I traveled from San Francisco with my grandmother on a National Parks Tour of Zion National Park, Bryce Canyon and the Grand Canyon. It was an Audubon Society bird-watching trip with a group of retired seniors. I was close to 10 years old and it seemed that everyone on the trip had about 55 to 60 more years of experience at watching birds than I did, but it was a great bonding trip with my grandma. 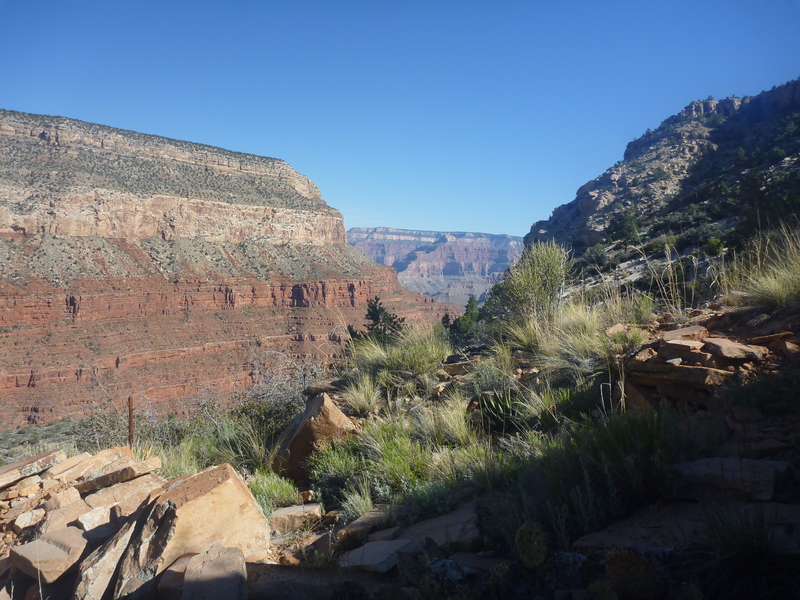 At the Grand Canyon, it wasn’t a bird that everyone was searching for. It was a squirrel! 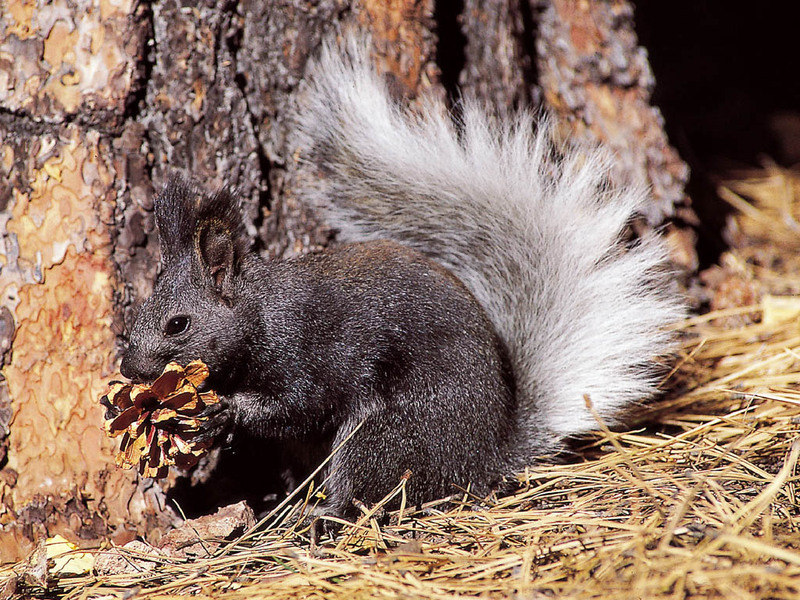 The Kaibab Squirrel. We spent one whole day looking for this elusive squirrel. It had a white bushy tail and we only saw one. But it was a success! 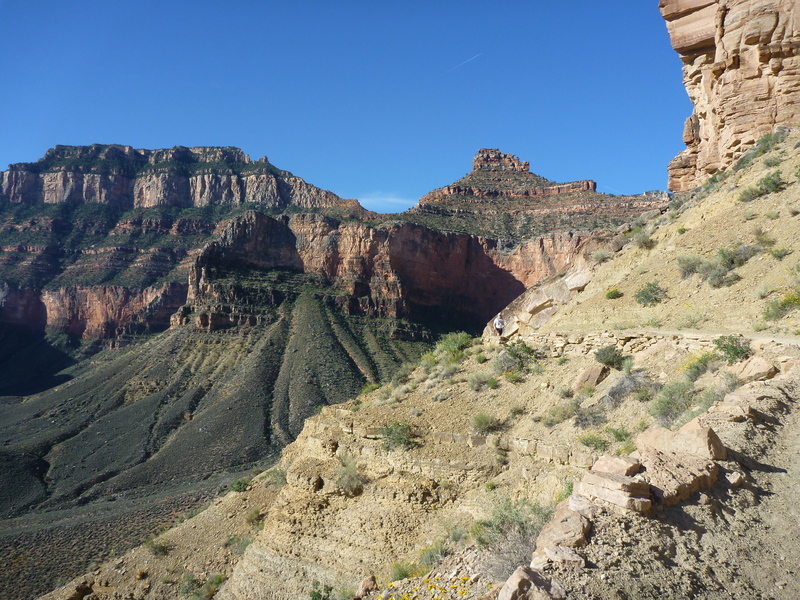 35 years later, I found myself back at the Grand Canyon on a hiking trip with my wife’s mother and brother. And what did I first see driving into the park from the eastern entrance?? A Kaibab squirrel that had met its fate trying to cross the road. Maybe it was a sign, maybe not, but it was the only Kaibab squirrel I saw during my entire 4-day stay in the park. 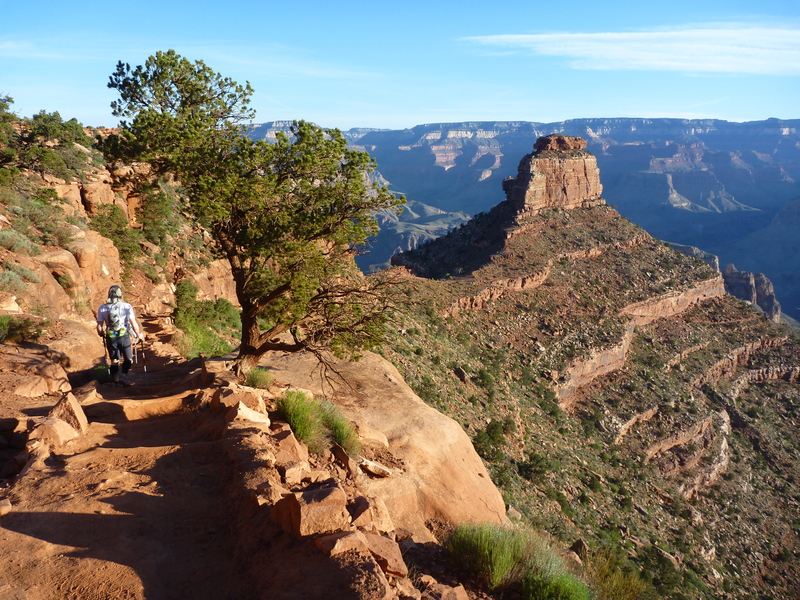 The Grand Canyon in late April is a magical place. The weather is not too hot or too cold, the tourist crowds are manageable, many flowers are blooming and the light in the sky is a deep blue. 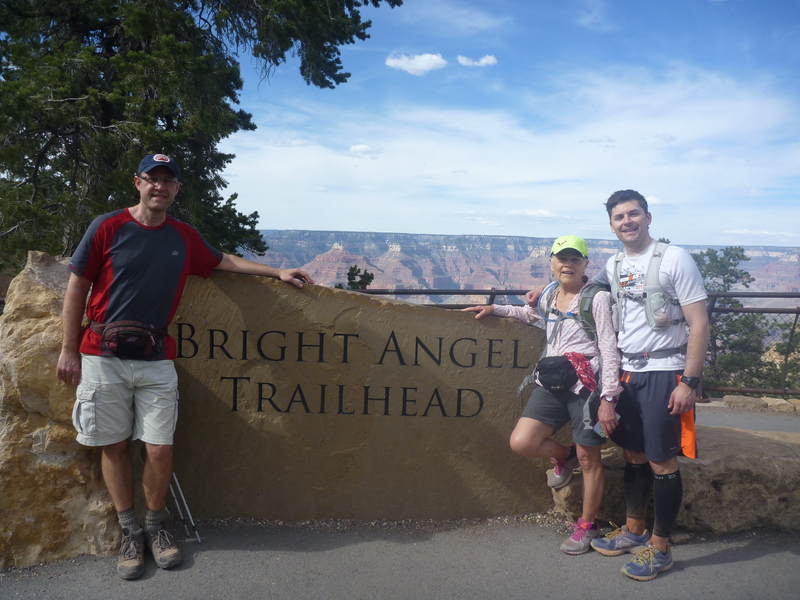 We stayed in a cabin on the South Rim at the Bright Angel Lodge, an old institution that has not changed much over the years. 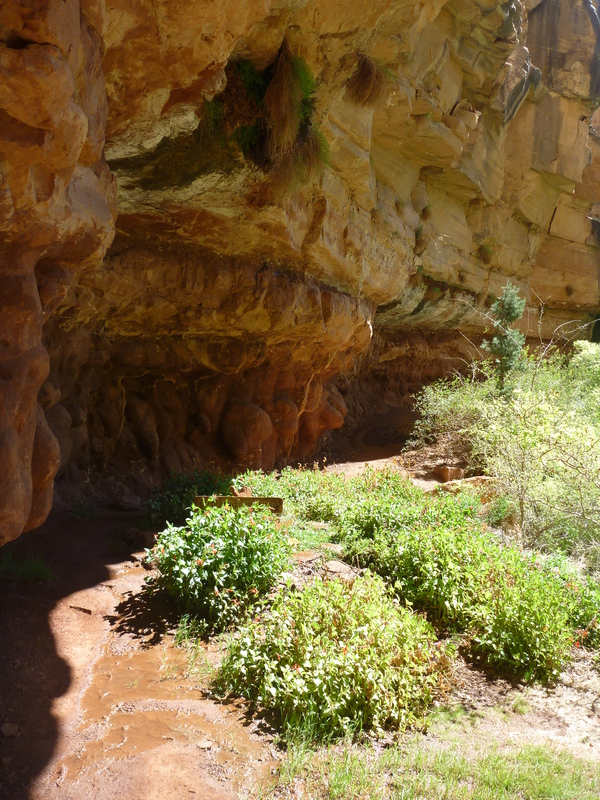 But it is a perfect place to make a base to explore the different parts of the canyon. My reason for being there was my mother-in-law’s 70th birthday. 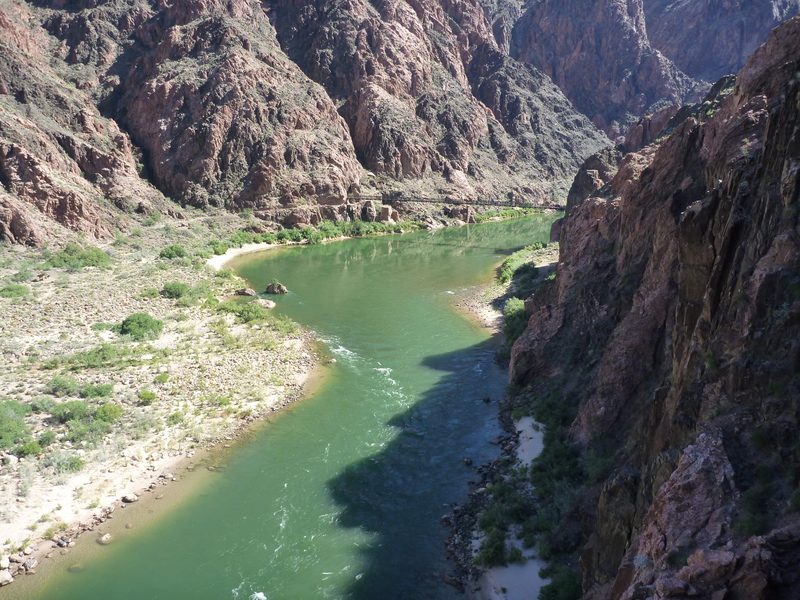 Her plan to celebrate this momentous birthday was to hike down to the Colorado River and back, which she had done numerous times before this trip. 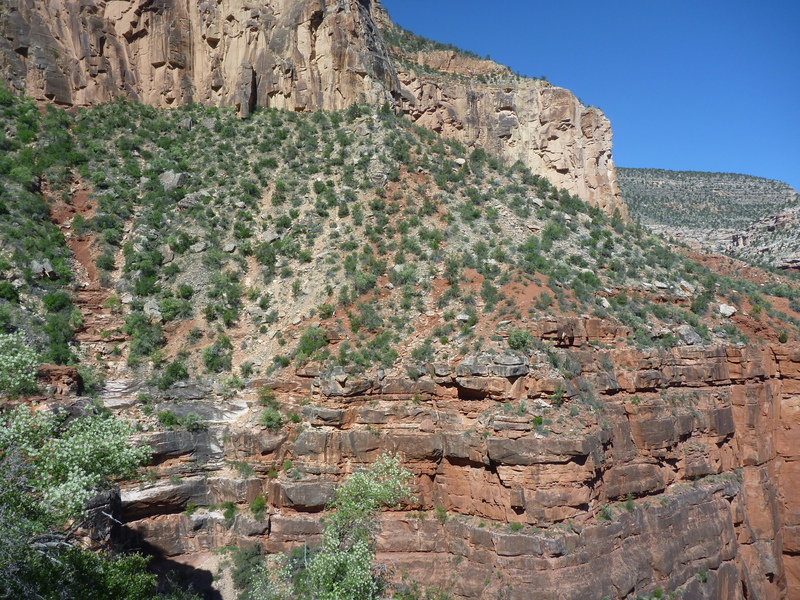 Our first full day included a challenging hike from Hermit’s Rest, the furthest shuttle spot going west, down to Dripping Spring. What a hike! 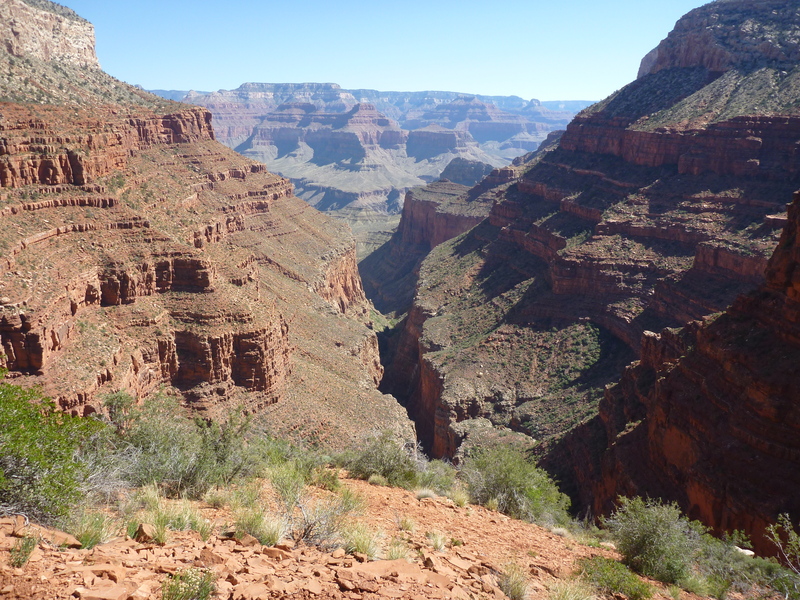 It combined everything you want in a hike: beautiful jaw-dropping views, isolation and silence, canyon edges, a beautiful terminus, and a definite challenge. Below are some photos from this first day. Back up to the top! The birthday hike happened on our last day. It was the classic 18-mile marathon hike. 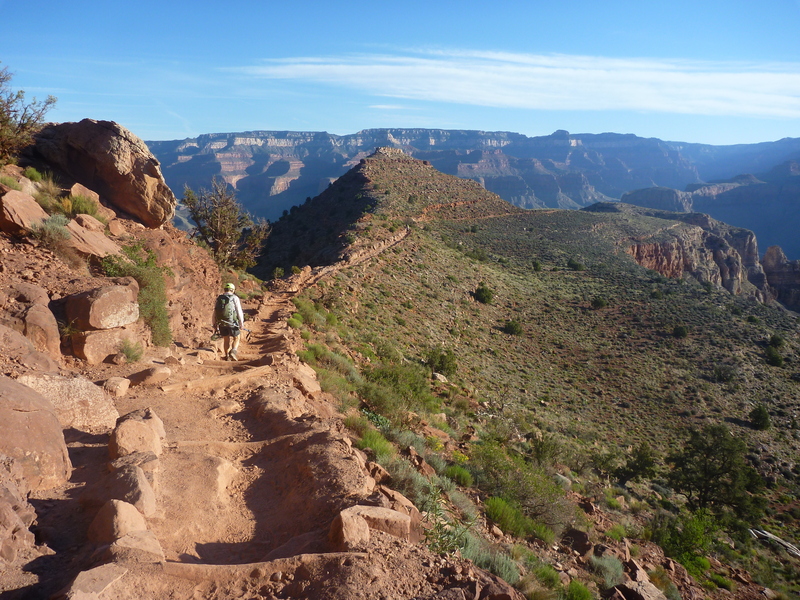 We went down the South Kaibab Trail to the Colorado River and came back up Bright Angel Trail. 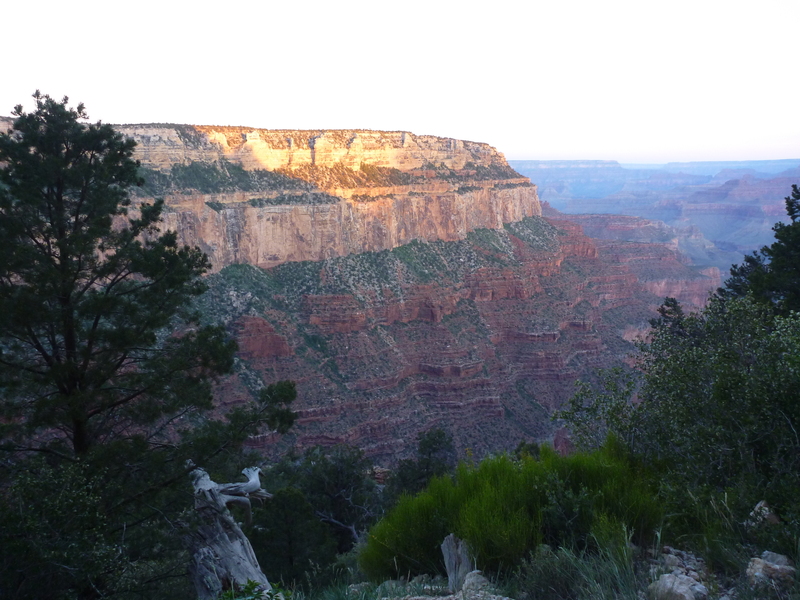 With a 5:30am start I thought we would have the trail to ourselves, but that was wrong. 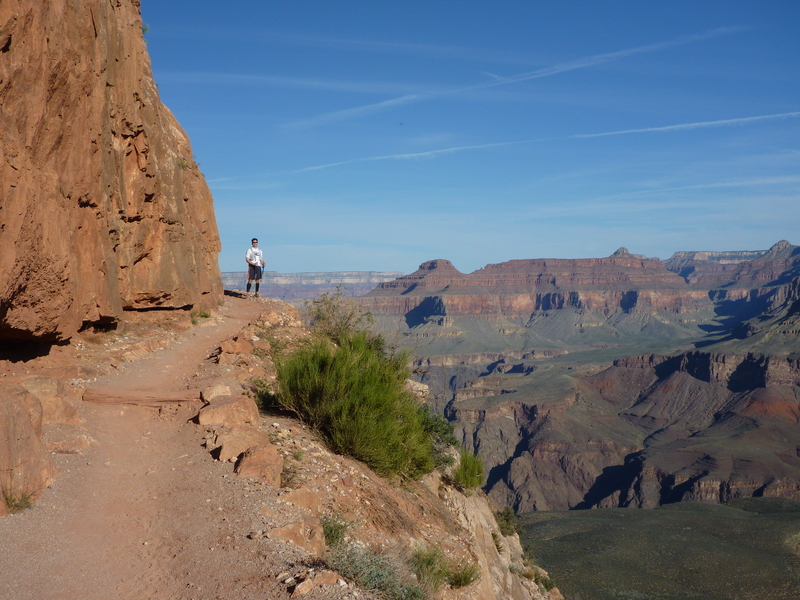 There were approximately 75 or so hikers and runners (yes, runners!) that started at about that time. 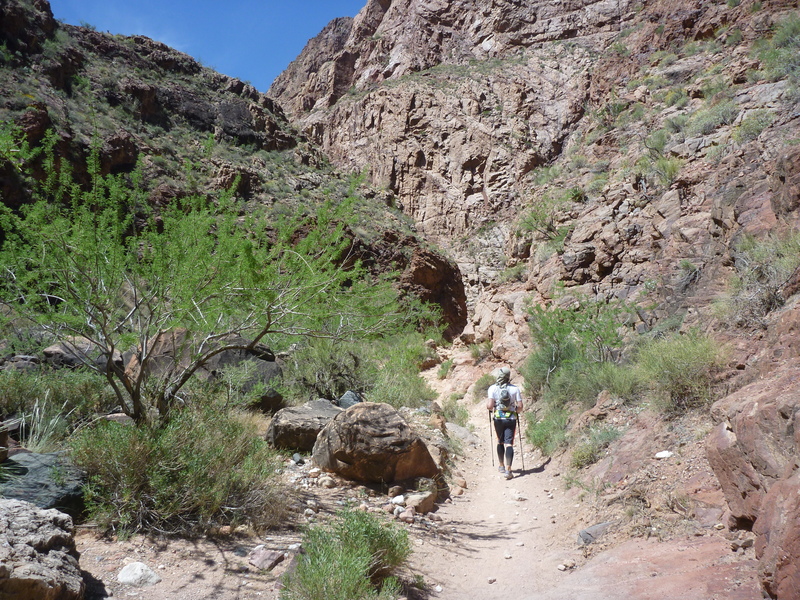 We let most of them go ahead so we could enjoy the trail at our own pace. It felt like a marathon when it was over. 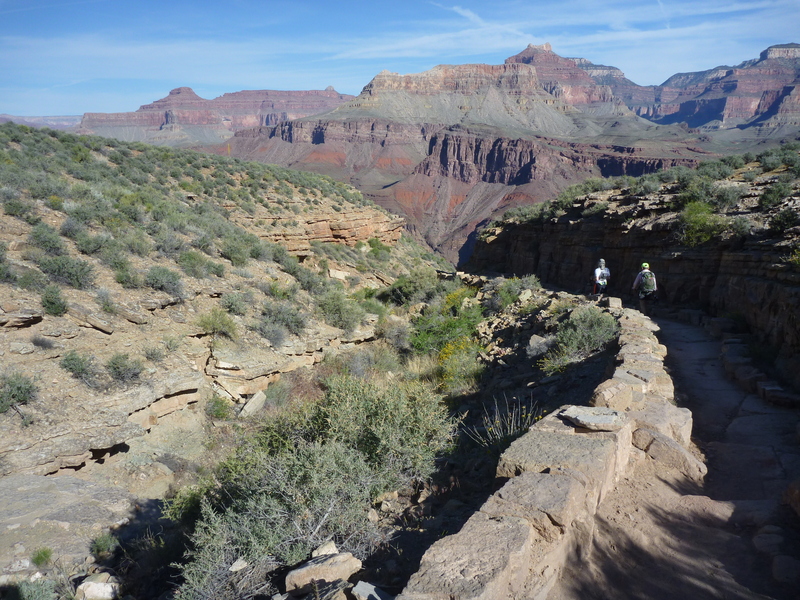 Coming back up the last few miles on Bright Angel Trail tested all of us, but we did cross the finish line by 4pm with big smiles on our faces. Overall, it was a great trip and a nice time to “un-plug”. 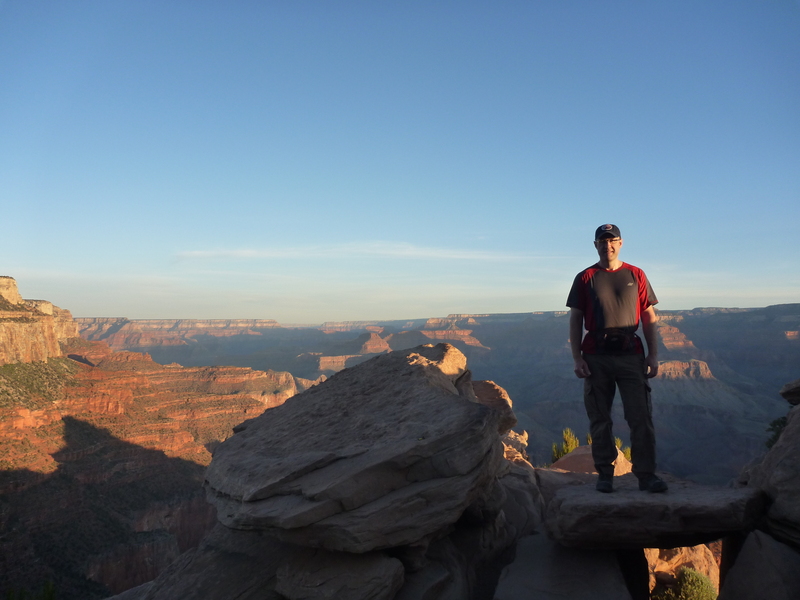 To reconnect with nature is an important aspect of my life and it is one that keeps me in check with all of the other moving parts and responsibilities that we take on over time. Happy birthday Helena!